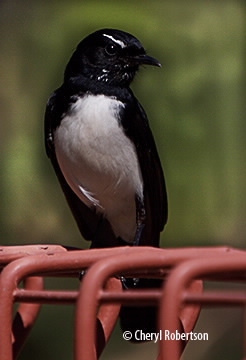 This common bird is always chattering and wagging it tail in a fan motion. It has a black body with a white eyebrow and underparts. The tail is a glossy black. Legs and feet black, eyes black, bill black.